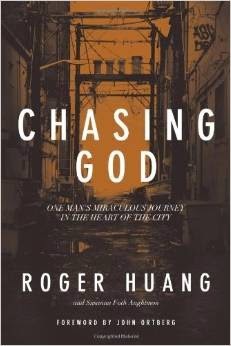 Roger Huang was born in Taiwan to an abusive father and a seemingly unloving mother. After his family moved to America when he was 15, Roger's hope for a new start was quickly dashed as his parents' abuse remained unchanged. Soon after graduating from high school, he left his family home with no plan but to escape. Life on the streets led him to his wife, Maite, and steady jobs. Thus is the humble beginnings of Roger Huang, the founder of City Impact Ministries in San Francisco, where thousands of lives have been changed for the better. Their ministry started with "Maite and me and the kids going door-to-door, praying for people, offering hope with one hand and bologna sandwich with the other." Their ministry exists to serve the Tenderloin district, described as, "San Francisco at its seediest." Starting with those sandwiches, the family soon began to spend Saturdays playing with children in the district. With the parks occupied by drug dealers, an abandoned hotel ballroom became their playground. Each step of their ministry's growth was linked to their faithful dependence on God's provision. Realizing they couldn't continue to trespass in the abandoned hotel, a business man from their church rented them a storefront. When that business man moved across the country, the owner of the building suddenly and surprisingly agreed to lower the rent. Through God's blessing, their ministry continued to grow. A nearby building became available for purchase. The missions committee for their local Assemblies of God took up their cause. One afternoon, several older Chinese men and women, previously unknown to Pastor Huang, dropped off checks and cash for thousands of dollars. It turns out their Bible study group, which had been together for thirty years, had been praying for a transformation to the Tenderloin district. In Pastor Huang's ministry, they recognized God's answer. Following God is simple. It's not easy -- far from it. But it's not complex. Pastor Huang prayed for a way to serve God and responded obediently when he felt the prompting. When a need arose, he prayed. And he prayed. And he fasted. And he fasted some more. When people suggested that his fasting signified some super-spirituality, he replied simply, "I fast because I am desperate." Pastor Huang's story resonates with me. Born a year apart in Taiwan, I, too, carry pains and doubt from growing up without a loving father. His simple practice of spending time alone with God and fasting as a way to focus on God holds great appeal. Christians, this is for you. Serving God starts small. It may never become as big as Pastor Huang's ministry, but that's God prerogative. We don't need to wait for a church program. God may not reveal His will in a startling revelation. Sometimes, it's a s simple as packing a sandwich and meeting people at their need. Purchase the book. You won't regret it.